The results for Ludum Dare 34 are here! I’m 141st out of 1638 jam entries in the fun category. Look at how well my game scored in the other categories here. 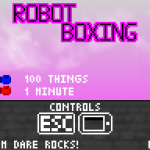 Robot Boxing is my entry for the 34th Ludum Dare game jam and was created in less than 72 hours. 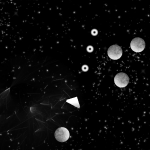 In this game you are a robot punching random things in front of a hopefully appealing parallax background. The results for Ludum Dare 30 are here! I wasn’t as good as last time, but it’s fine. Look at all the results in here! Labyrinth Challenge is my entry for the 30th Ludum Dare game jam and was created in less than 48 hours. 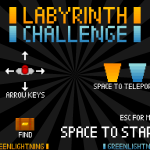 In Labyrinth Challenge you navigate a randomly generated, multi-dimensional maze trying to find the treasure. 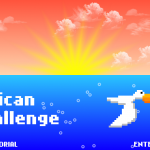 Ludum Dare takes place on August 22nd-25th and I’m going to take part and stream everything on Twitch. In this post you can find my streaming schedule and setup. 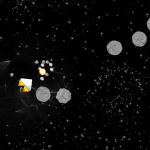 A new version of AsteroidsGDX including a local high score table, more sounds and some bug fixes. This update for AsteroidsGDX features an improved and better looking user interface, better physics and is compatible with Java 6! Native applications which don’t require Java at all are available as well. This update for AsteroidsGDX features three different spaceships, better graphics, controller support and more! Surprise game announcement: AsteroidsGDX is an action game where you have to maneuver your spaceship around dangerous asteroids flying through space while collecting pickups and shooting bullets to reach a new high score. The results for Ludum Dare 29 are here! I’m 150th out of 1491 compo entries in the fun category. Look at how well my game scored in the other categories here. Green Lightning 1.4 – The Double Update!